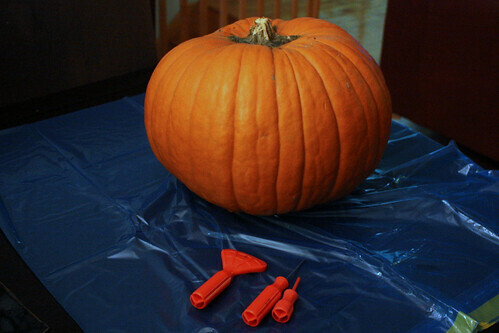 Last night, as was planned, we finally got working on the pumpkin. I'm glad we found a huge one. 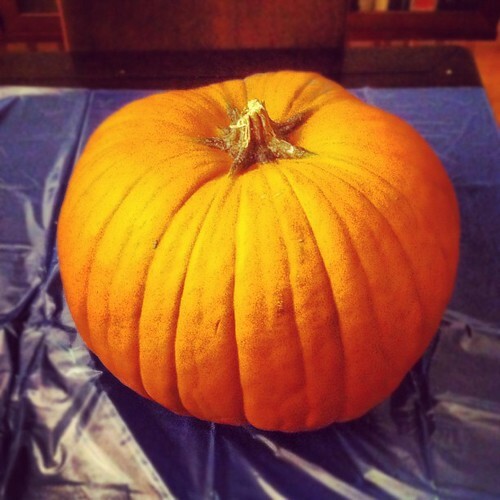 The bigger the pumpkin, the more space you have for the face (obviously) or whatever it is you're making. This guy's so big I can just barely get my arms around him. This is the first year we had "real" pumpkin carving tools. So far it's been a regular knife and a couple of spoons to scoop out pumpkin brains (if you've never craved a pumpkin, they are filled with this stringy, goopy substance and seeds. Emptying one out is a messy job). I have to say that these things were a gazillion times better than what we've used in the past! 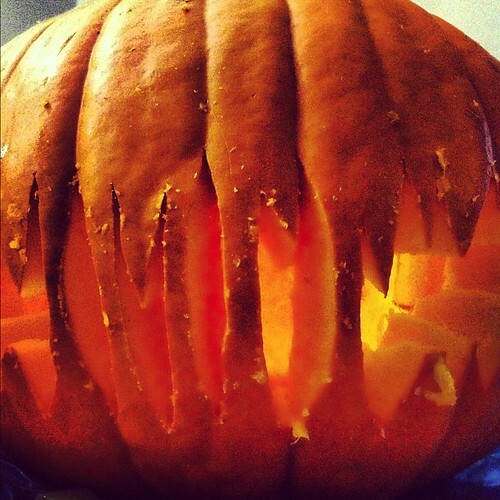 I take my pumpkin carving seriously. This took me a long while and a few glasses of wine. I was naturally listening to the soundtrack of "Nightmare before Christmas", which is the best Halloween movie ever. Chris and I split the work, I carved the mouth of the pumpkin and he carved the eyes. We took turns with the miniature saw-thingy that came with the set. The tools do not look impressive at all, but work like a charm. 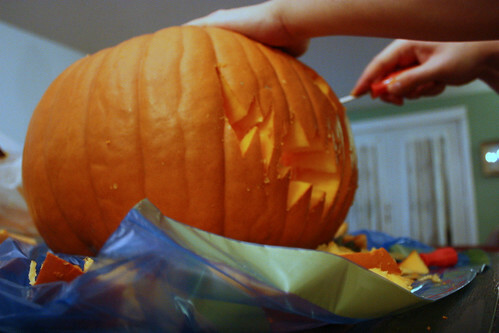 Even the messy scooping of the pumpkin was super fast!